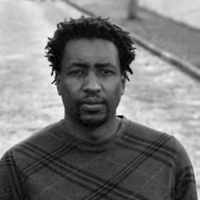 Novelist, poet, and literary scholar, Mukoma Wa Ngugi is author of Black Star Nairobi (Melville, 2013), Nairobi Heat (Penguin, 2009; Melville 2011), and an anthology of poetry titled Hurling Words at Consciousness (AWP, 2006). He is a columnist for Ebony.com and a regular contributor to Kenya Yetu Magazine. Mukoma was shortlisted for the Caine Prize for African Writing in 2009 and the Penguin Prize for African Writing in 2010. Born in Evanston, Illinois, Mukoma grew up in Kenya before returning to United States for his undergraduate and graduate education. He is currenly based in Norwalk, CT.